Scout home security is a great solution for those looking to save money with DIY setup, optional monitoring, and an a la carte menu of features. We all know that purchasing a home security system is a monumental decision. Weighing the costs and benefits is more difficult than with normal products because the risks are far greater. We want to get the best product for our money, of course, but we want to know that we will be safe and secure for the foreseeable future, too. We are taking a look at Scout home security systems to figure out what sets them apart from the competition, and what makes them a worthy choice when it comes to protecting your home and your family. For those with a bit of technical know-how and a level of comfort when it comes to working with devices, this company might be a great choice. The tradeoff for a lower price in this market is a more DIY-oriented setup, which is exactly how Scout works. Everyone who’s owned and maintained a home security system knows that the long-term investment will easily justify its cost, as long as it works as advertised. Setups like those offered by Scout are designed to not only monitor and protect your home seamlessly; they are meant to notify the proper authorities in the case of an emergency via professional monitoring. One of the key features of Scout is that the professional monitoring feature is optional, which means you can actually operate the technology without a monthly fee. However, this comes with a tradeoff of higher risk if your home is burglarized while you are away or otherwise unable to contact the police. Still, it makes for an intriguing spot between higher-cost solutions and, well, no security at all. When selecting your own home security system, you’ll want to weigh the available options and decide what is most important to you. Many companies offer simple tiers of service, with accompanying hardware suits and feature levels, but Scout allows you to purchase the equipment a la carte and select only the features you want. This means you’ll want to be educated about the product and your own needs before you take the plunge. Scout is an a la carte security system, similar to competitors like SimpliSafe and Viper Home, with an extra helping of freedom of choice. That means you, the homeowner, get to pick and choose which components go into your own setup. You’ll be able to install all of the equipment you need and nothing more. This means that, in many cases, you’ll be saving money in comparison to other offerings. 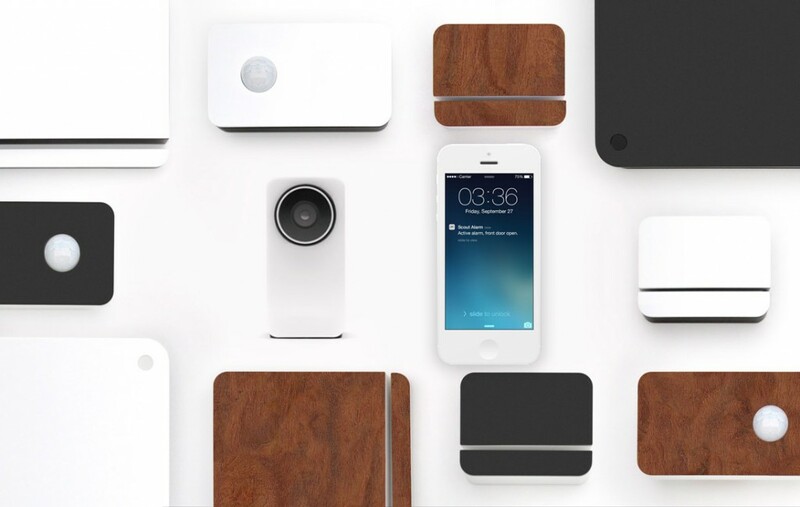 With a focus on DIY installation and customization, Scout is nearly the polar opposite of brands like ADT that sell suites of devices that must be professionally installed in your home. This translates into savings in the long term, but naturally requires a bit of technical know-how on your part as the homeowner. Let’s look at a list of the major pros and cons to Scout’s approach. Unlike almost every other option in home security, Scout is happy to let you pick and choose the components that you want, free of constricting service tiers. While that means that the initial selection process is more intensive, it also means that you only get the pieces that you need to secure your own home. Of course, the device selection means that the initial cost may be higher than other services, but you’ll own the components forever and will not necessarily have to pay a monthly fee if you don’t want to. This brings us to the next standout feature: professional emergency monitoring is completely optional with Scout. While most systems are inextricably tied to an ongoing service, Scout allows you to set up an ad hoc security system of your choice and use it however you choose. Of course, professional monitoring is always the safest route and should be taken advantage of where possible, but it’s good to know that the option is there. The hardware Scout uses is some of the smartest around, with a central hub device that connects the whole ecosystem to each other and to your mobile device. This allows for integration with smart home products you may already own, from thermostats to light switches. Even better, it allows you to monitor and control every aspect of the system from your phone, tablet, or computer, no matter where you are. The built-in wireless chips mean that your security system is always connected, too. Scout boasts about its always-on service because it’s one of the most reliable features of any home security setup out there. With battery backup and built-in wireless 3G chips, their components will stay alert and connected even when the power goes out. You’ll still be able to get alerts, check status, and do more with the remote mobile app no matter what. Also, if you spring for the 24/7 professional monitoring, you can rest assured that it will continue to function no matter what. We always make sure to check around the web to see what real customers think about a given home security product. In this case, we searched high and low to find a number of informative reviews for Scout. Here are a few good examples. “I considered many of the different DIY home security/automation systems out there. I looked at SmartThings, Piper, Canary, Viper, Simplisafe, iSmartAlarm, etc. Each one of them had good and bad things and it was hard to find a company that had all of the things that I wanted. I was leaning towards Simplisafe because of the professional monitoring service, but I really, really hated that their system was closed and had no way of including a camera. I really wanted to have professional monitoring services. That, coupled with the cost and features of Scout, is what sold me.” – Jacob C.
“My final thoughts are that the wireless aspect of this system is a non-starter in it’s current form. Unfortunately, for ultimate reliability, a hard-wired system is going to be the best. I think Scout should keep trying – The app and all that stuff is great, and the infrastructure is there, but I just think the hardware isn’t reliable enough (or diagnosable enough) to really have it make the cut for anything serious. It’s better than nothing, but I’d definitely recommend having a camera system so you can verify false alarms remotely.” – Andy B.
Vivint is a major player because of its focus on home automation, providing entirely wireless home security technology. Unlike Scout, Vivint offers a comprehensive installation and setup process in which techs come into your home to set the product up professionally. There are charges for equipment and installation, but this is a boon for anyone who wants to avoid working directly with the technology. If this sounds like you, it might be a better option, provided the costs are acceptable. Frontpoint offers a similar suite of features, including DIY installation, wireless security, and smartphone access to your home security setup. They are also well known for their quality customer service, all-cellular monitoring, and lower costs. 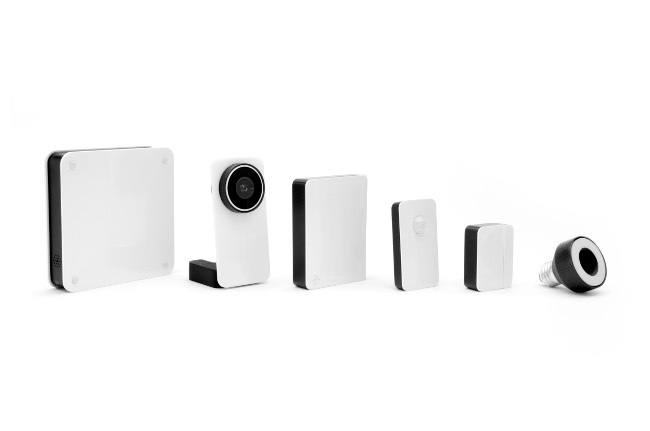 While Scout is one of the newest players in the home security game, they’ve stepped directly into the future with a new a la carte pricing model and completely modular setup. You only buy what you need, which means you could be looking at a much better price than the competition, provided your needs are met. Their newness brings with it a lack of long term experience, but user experience and professional reviews indicate that they’re off to a very promising start.